Dr. Eric Werner has practiced in the Division of Pediatric Hematology/Oncology at the Children’s Hospital of The King’s Daughters since 1987 and began the Bleeding Disorder Program in 1988 He developed the Special Hemostasis Lab at CHKD and continues as a Clinical Consultant in the lab. His research has focused on bleeding disorders including von Willebrand disease, neonatal hematology and quality improvement. 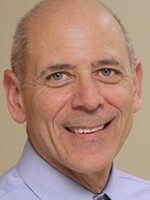 He has served as Chairperson for the Section of Pediatric Hematology/Oncology for the American Academy of Pediatrics. He is currently on the Faculty for the Children’s Cancer and Blood Disorders Network project to reduce Central Venous Catheter Infections in Pediatric Hematology/Oncology patients. He is also the Co-Chief Medical Information Officer for CHKD and is Board Certified in Clinical Informatics.